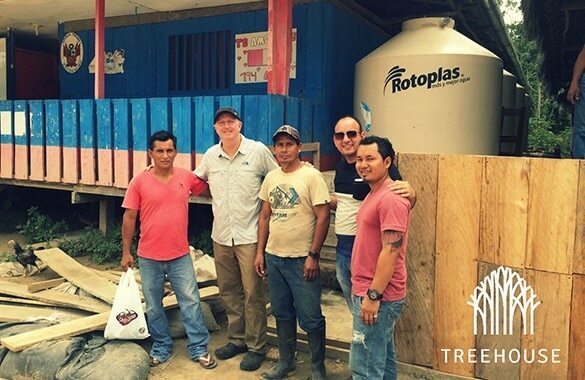 Here at the Treehouse Lodge, we’re proud to announce that our Clean Water Project of a local village was completed and the entire 300-person village now has access to drinkable water. Note: This is Part 2 of a 2-Part Series. To read Part 1, click here. Started in December of 2015, the Clean Water Project constructed large gutters to capture water off of the roof of the school in this village. 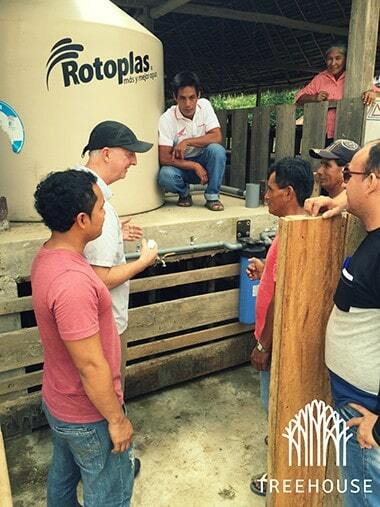 The village now has 4 tanks (2,500 liters each) for a total of 10,000 liters of clean water storage. Recently, the Treehouse Lodge Management team completed training on how to utilize the system. In fact, the vilage actually formed a Clean Water committee to ensure the investment is protected and properly utilized in the years to come. 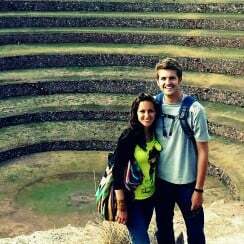 Here at Treehouse, we believe in supported the local communities around the lodge. It has been our absolute joy to participate in this project with the wonderful people of this village.